You’ve got to love those vintage cars and hot rods. Having a piece of history that you can actually use and enjoy is a rare pleasure. Keeping it running can be a challenge. Both parts and experience with the mechanical “features” of the vehicle can be a challenge. Today’s automobiles rely on computers and electronics. The older vehicles rely on mechanical and vacuum controls that some repair shops may never have seen. Some vintage cars have been transformed into hot rods with an assortment of parts from various vehicles and after-market manufacturers. You may not be able to find repair manuals that cover your vehicle. Experience with a wide variety of transmissions is the key to proper maintenance and repair. 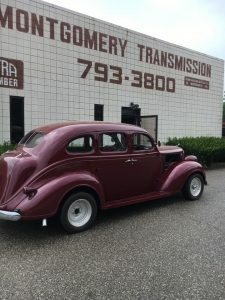 Since historical vehicles and hot rods are usually driven on weekends when the weather is nice, a big enemy for the transmission is just sitting which may lead to leaks. Rubber parts shrink and become brittle. Gears may be worn. Clutch plate may have been abused by prior owners. Mud daubers and other insects may clog the breather tubes causing transmission to slip and forcing fluid out the dip stick. 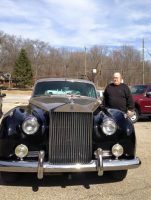 Montgomery Transmissions Specialists is your partner in keeping your prized historical vehicle running.